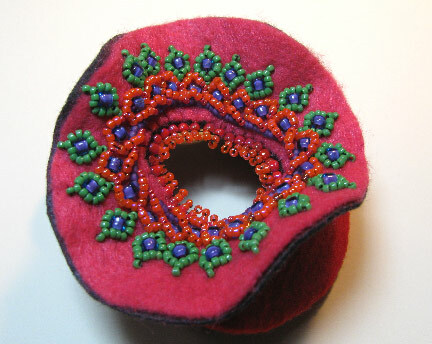 This year for the Bead Journal Project, I am going to be working on combining beaded crazy quilting with 3D forms. I learned most of what I know about sculptural forms through C June Barnes's Exploring Dimensional Quilt Art. Two weeks ago, I posted the first part of this tutorial, which focused on making the wavy raised circle form shown above. 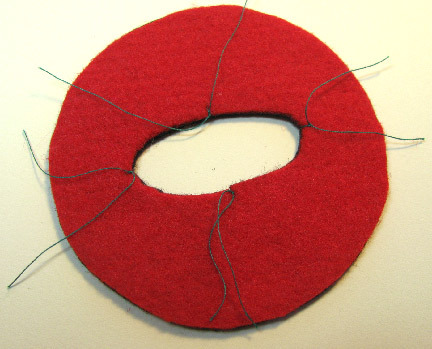 The first line of beaded back stitch was added before the felt circles were stitched together with edging brick stitch around the middle. The rest, shown below was added afterwards. I used the bead embroidered forms of African helix and free-standing chevrons. These stitches are taught in Bored By Back Stitch, chapter one. 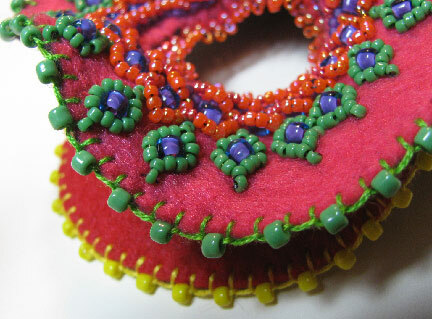 After I finished the central beading, I used embroidery floss to add beaded blanket stitch around the outsides. In a few spots, the black second layer of felt had to be trimmed a bit as there had been some slippage. Eileen made a bunch of decoupaged wooden hearts and hung them on a Valentine's tree. This step by step shows you how to make big buttons new pendants with resin. Lots of crafting in the latest Crafty Princess Diaries Podcast, including bead weaving, knitting, crochet, ending with a cute photo montage of finished objects. Cherie ponders a favorite Bible verse in her creation of art this week. I am the mother of four girls and have been married to my husband John for fifteen years. We actually met in a local bead store he used to own in the 1990s. I have been beading since I was a teen, but now I am mainly making necklaces and bracelets in my spare time (which is not often enough for me!). My fourteen-year-old has been making and selling jewelry for a couple of years. It's a hobby for her, but she has also learned some responsibility and earns extra spending money. Here is something she made a few months back. She has a tutorial on our blog. I think my nine-year-old also has a terrific eye; she made this necklace last year. As far as the products that we carry in our store, people seem to really like some of our more novelty clasps, such as the heart clasp, the dolphin clasp, or the multi-strand flower clasps. 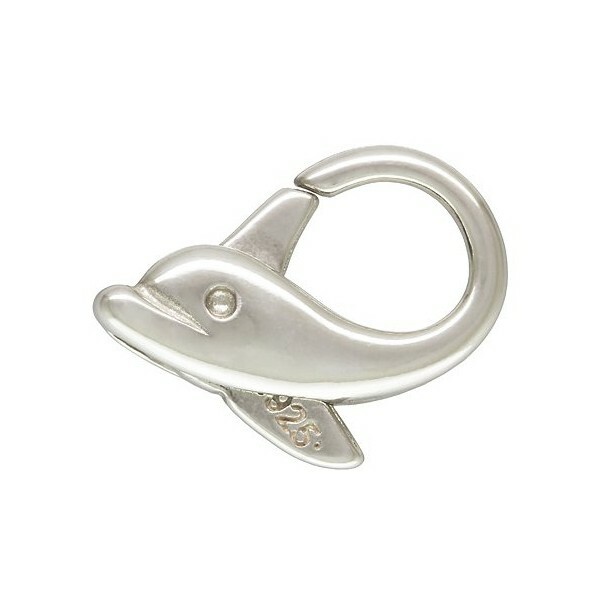 The dolphin clasp is shown at the top of this post. Besides some general all-purpose business articles, you'll find information on finding your niche, branding strategies, developing a social media presence, selling on etsy, improving your graphic design and photos, handling wholesale and consignment shops, pricing your work, and getting published in books and magazines. This is followed by the market listings, including industry shows, retail shows and fairs, online markets, book and magazine publishers, and crafting communities. The communities are not primarily for sales, but are places where like-minded people can learn, network, and share resources. 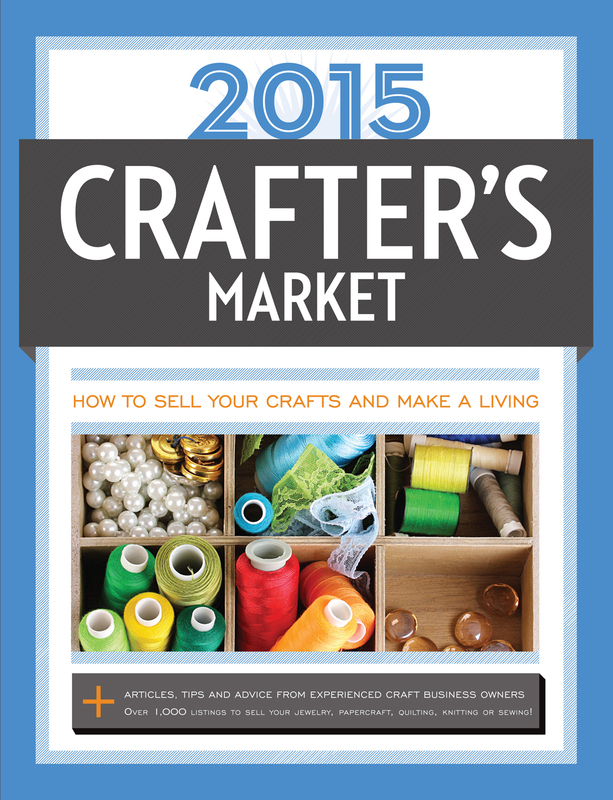 Whether you want to sell your wares to make a living or to simply keep yourself in supplies, The 2015 Crafter's Market will help you start the new year right. I received some wider ribbons from Offray, and immediately thought, "Oh good...a canvas to stitch on!" I wasn't sure at first how well the ribbon would hold up to being embroidered by a lot of beads, but by making a few adjustments, it worked out really well. I'll be doing this again, for sure! 1. 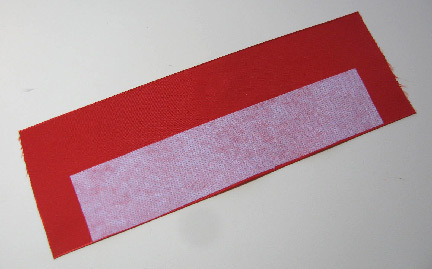 Measure your wrist and cut a piece of 3 inch wide ribbon 1 inch longer than the exact measurement. 2. 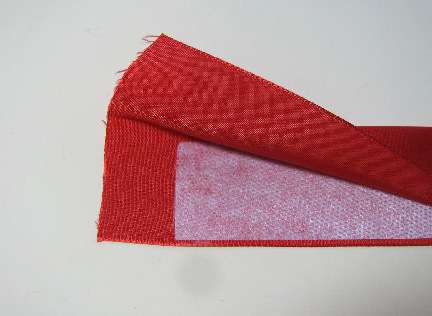 Cut a piece of lightweight fusible interfacing 1 inch shorter than the ribbon length by 1 3/8 inch wide. Center it as shown on the lower half of your ribbon, just about 1/8 inch up from the bottom edge. Fuse it in place with a warm iron. 3. Fold the ribbon in half with the interfacing on the inside and crease the mid-line with your iron. 4. Unfold the ribbon, and using the fold line as a guide, stitch beading onto the bottom half with the interfacing backing, keeping the beadwork back at least 3/4 inch from either short end. I used back stitch to attach my beads. To create a solid row of back stitching, attach thread to the back of the piece by taking a few tiny shallow stitches through the interfacing. Pass the needle through to the front and pick up 2 or 3 beads. I picked up 3 the first time and 2 for every following stitch. 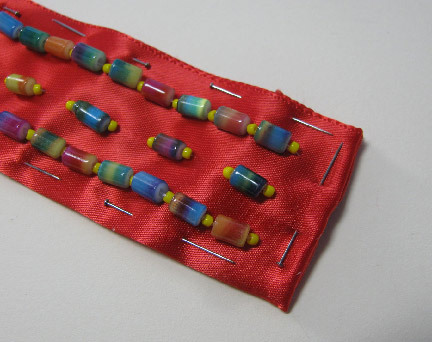 Make sure the beads are snug against the exiting end of the thread and bring the needle straight down through the ribbon right at the end of the row of beads. Bring the needle up between two of the center beads in your group, in this case between bead 1 and bead 2. Pass the needle again through the last half of the beads in your group, in this case through beads 2 and 3. Pull the thread through. 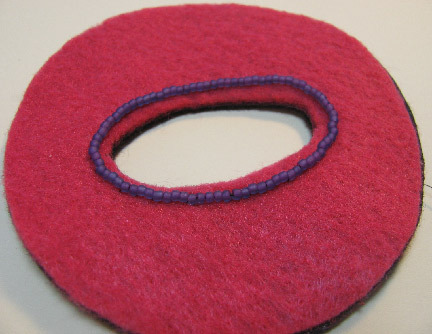 Pick up the next two beads and repeat from the beginning, working your thread in a circular pattern that creates a row. [Note - your rows do not have to be straight.] Do not pull too tightly on the thread as you work. 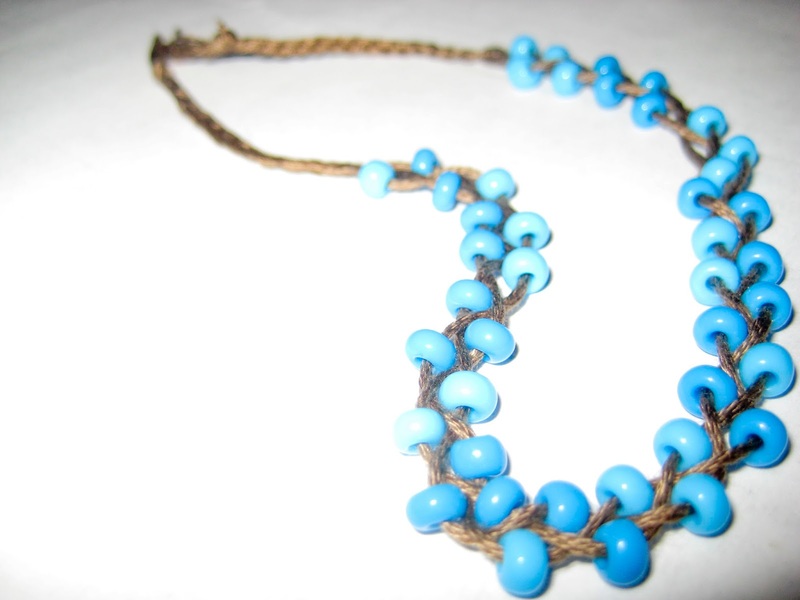 The bracelet will curve when you wear it, and a tiny bit of slack will be needed to allow the beads to curve too. 5. 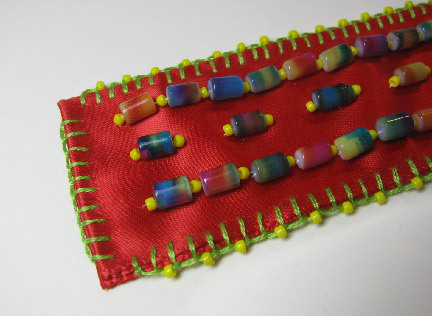 For the disconnected middle row of beads, I back stitched each group as per the instructions in step 4, anchoring the thread in the interfacing on the back between each group. 6. Fold the short edges of the ribbon to the inside, 1/2 inch on both ends, and pin the bracelet all the way around, even on the folded edge to keep it from slipping. You can see how a tiny bit of thread shows between some of the beads. While you don't want it really loose, this little bit of extra will allow the bracelet to curve as explained in step 4. 7. 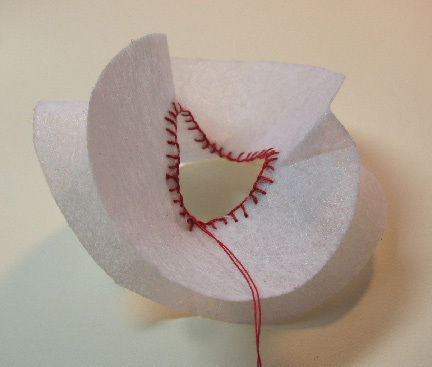 Use two strands of embroidery floss to add blanket stitch around the edges. I added seed beads to every other stitch along the long edges. Do not add beads to the short ends. 8. 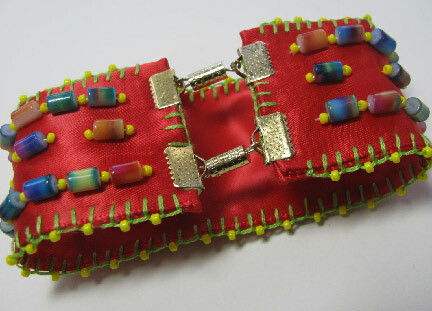 Add metal ribbon ends to both short ends of the bracelet. Use a pair of chain nose pliers to squeeze them firmly shut. 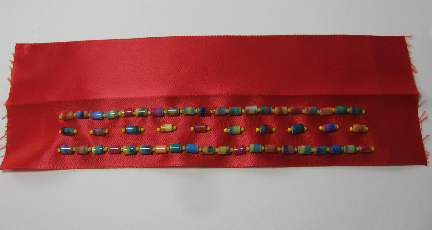 I chose to use 4 total ends in a shorter length (10mm) rather than one large one in order to keep the short ends nicely aligned when the bracelet is worn. 9. Attach clasps to each metal ribbon end. Magnetic clasps make on and off really easy, but you can use whatever style you like, perhaps adding jump rings if needed for additional length. Since the bracelet was cut to take into account the exact measurement of your wrist, you can add jump rings to give yourself additional ease if you like a looser fit. Cherie adds to a picture wall in her bedroom. Catch up on the latest Crafty Princess Diaries Podcast, which includes the 411 on a Jan/Feb Craft-Along! This post features a step by step created after my resin clay and KLIK class at CHA over the weekend. Are You Ready for a New Year of Beading? Eileen certainly wasn't. In reviewing the year that was, she noticed that she hadn't been doing much. Here's why! 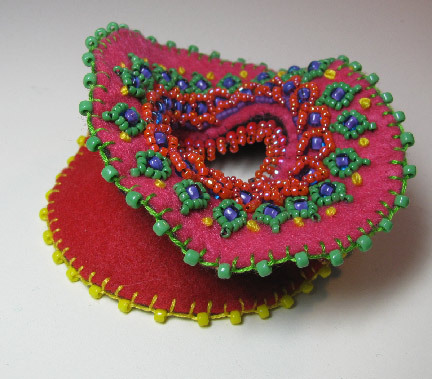 Check out what talented reader Mihaela Georgescu of Extravaganza Beading has created in response to our January challenge - a stunning piece of wearable art! 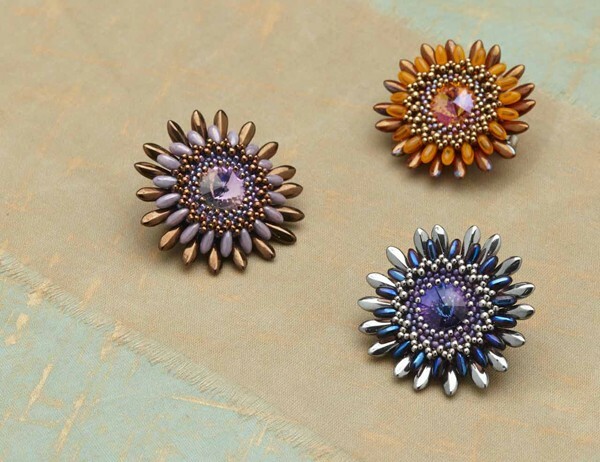 Either you are a fan of Lisa Kan's beautiful beadwork, or else there is something seriously wrong with you! Sorry...there is no middle ground. You may not want to make it or wear it yourself, but you absolutely have to see the artistry and attention to detail that goes into it. Years ago, I reviewed Lisa's book Bead Romantique, and I know that her fans have been waiting (not so) patiently ever since for a follow-up. Well, now they have it, and it's a beauty. 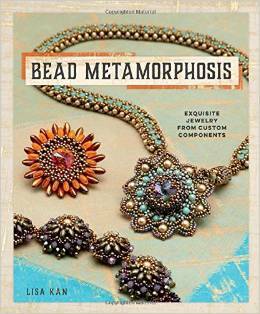 What Lisa does in Bead Metamorphosis is to show you how to create precise components which can be altered and combined in many ways. One of the signature pieces of the book, shown above, is the Encanto Necklace, which allows you to reconfigure it by rearranging the medallions, which also happen to be double-sided. 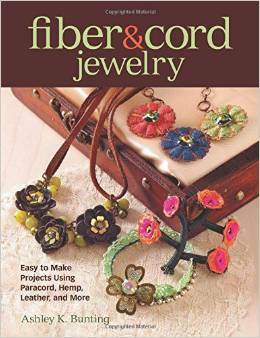 As you work your way through the book, you'll find components reappearing in different colorways, with different accent beads, and linked together differently. 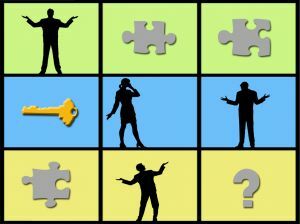 It makes the mind spin to think of all the possibilities beyond the ones that Lisa shares. 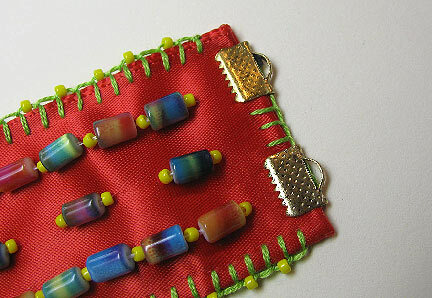 Even though the pieces look complicated, they are all put together using the very most basic beadweaving stitches. You may find it a bit daunting if you are a beginner at beadweaving, but with proper attention to the clear instructions, and some practice on your technique, most of these pieces should be achievable. The illustrations that accompany the instructions are also clear and helpful, as you would expect from an Interweave book. It's time to keep your first New Year's resolution...to promote your work! Have you been wondering how the people who get featured here do it? Well, most of them are just like you...they don't have a publicist or an agent, they don't have a contract with Macy's or Bergdorf Goodman (not yet, anyway! ), and many of them are shy! If you'd like to share a piece you've made, all you have to do is shoot me an email to cyndi @ mazeltovjewelry . com (remove the spaces). 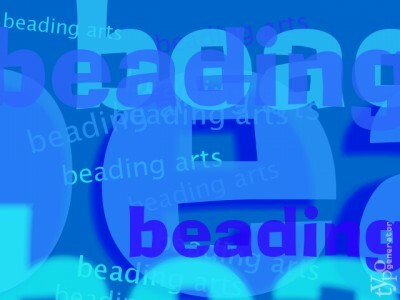 Please put beading arts image to share in the subject line. We love to read about things like what inspired you to make the piece and any challenges that you faced, so tell us a bit about yourself and the image that you're sending. I'll gladly share your website and/or blog link along with your image and description. If you'd like to consider sharing a more in-depth artist profile with us, just put beading arts artist profile in the subject line. I'll check out your site (just to make sure you're a real person!) and ask you to send me an artist statement that covers what materials and techniques you like best along with what inspires you, and 3 or 4 images you'd like to feature. The shape at the top of the post is my successful sample. There were a few that weren't really successful until I figured out how exaggerated to make the shapes. What I finally found that worked best for me was to cut the outsides as circles and both insides as long identical ovals. The placement of the inner cut doesn't have to be precise, but the actual size must be exact. I know they don't look like circles in this shot, but that's just because I took it on an angle. Trust me, the outsides are circles, the insides are identical ovals. 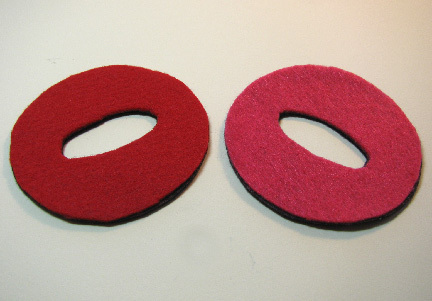 I used felt, and each piece was backed with a stiffer piece of black felt before I cut them out. Taking the first shape, I marked top, bottom, and sides of the oval with a bit of thread. I did the same with the second shape, but before marking it, I stitched a back stitch row of size 11/0 seed beads around the inner cut. Pretty cool, huh? I hope to have this finished by the end of the month, and I'll share the rest of the tutorial and how I decorated it with you! My super New Years news is a new blog dedicated to my resin work and all things about this amazing medium. I Love Resin! 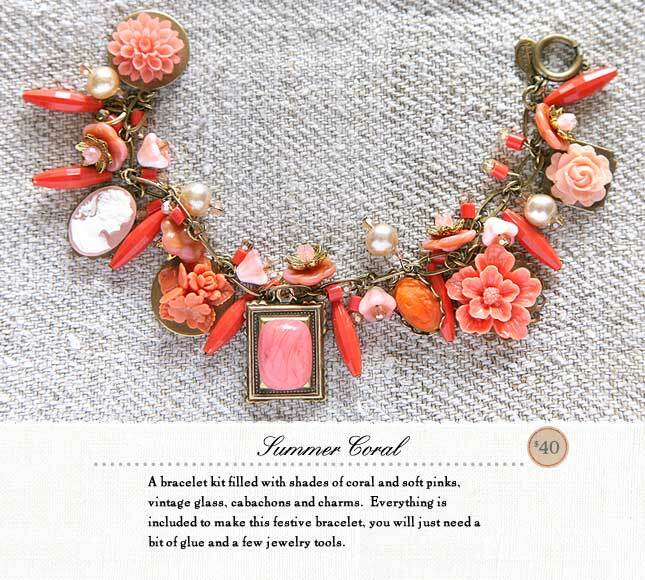 Many of you will be familiar with Kaari Meng's work, fun, feminine, and whimsical designs that start with mostly vintage beads and charms. 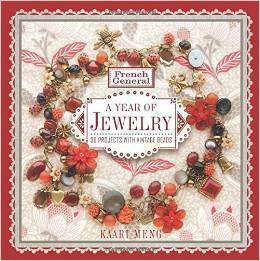 Well, Kaari has a new book that is based on the jewelry that she constructs at her store, the French General. The title of the book? French General: a Year of Jewelry. 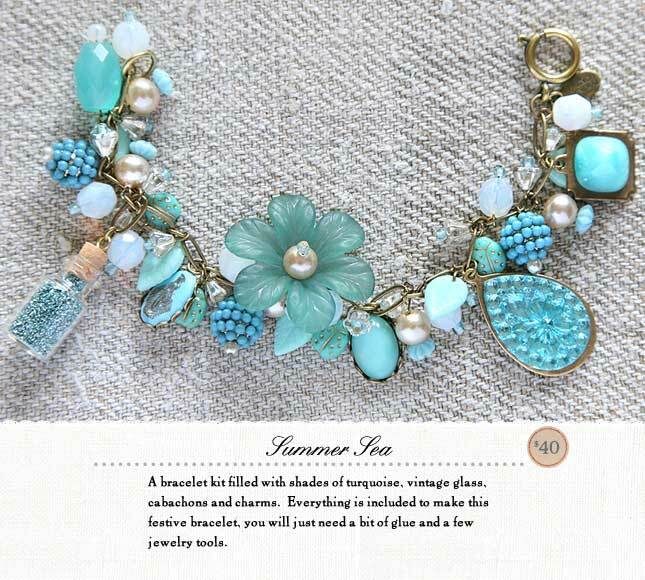 Kaari starts with a discussion on a little bit of what to look for in buying vintage and antique beads and charms. 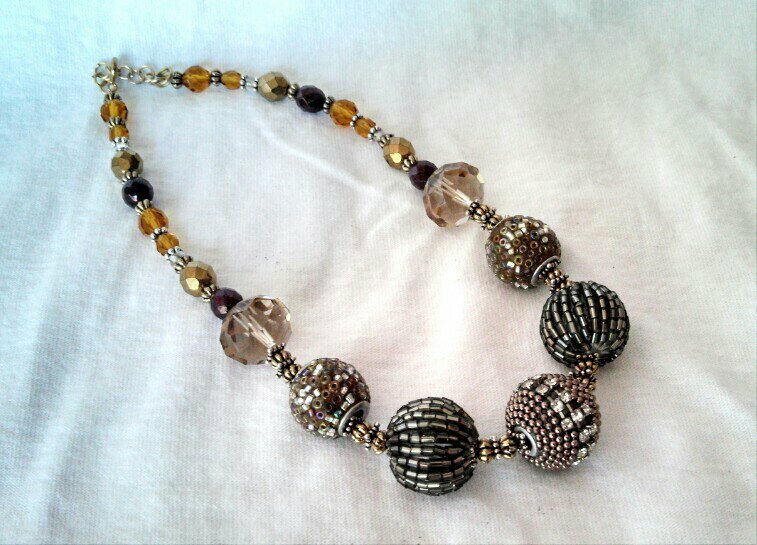 She talks about some of her early prejudices, and how she moved past them into buying quality beads, but only what she likes! It really makes sense; you don't want to invest money and time in materials that will flake and deteriorate, but you also don't want to buy beads that you don't like just because they are a "good deal". The basic techniques that are used over and over in the book are also up front. Mostly you'll be working with chain, wire, memory wire, gluing, and some stringing. The organization of the bulk of the book is by month, with three nicely coordinating projects for each. Not matchy matchy projects, just items with a similar feel and color palette that would wear well together if you were so inclined. At the beginning of each new year, I feel the need to start something new, don't you? It's a great time for reflection and for setting goals...educational, business, artistic, whatever. This year, I have two specific things on the brain: crazy quilting and 3D forms. Yeah, yeah. I know they don't seem to be related, but actually they are! 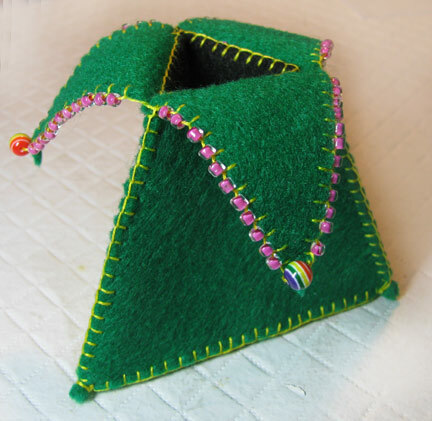 A couple of years ago, I got all excited about making a couple of 3D forms that I learned about in C June Barnes's book Exploring Dimensional Quilt Art (here's my review). At the top of this post is a pyramid form that I made at that time. At the last link is a tutorial for it as well, because June's book is not really a project book, but instead mostly covers the theory of how to create different forms. So anyway, take a look at that pyramid up there. See how the flat planes are joined together? I didn't decorate the planes, but if I had, wouldn't it remind you of a crazy quilt...? Just sayin'. 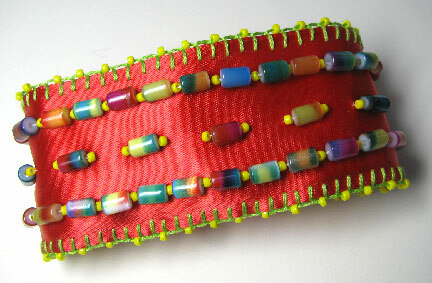 This is what I'm going to work on this year, at least for the Bead Journal Project, combining 3D forms with bead embroidery. And I must say I'm excited to get started. I will get back around to pyramids in a few months, but first, I'm working on a raised circle form. Do you have plans for a new direction this year? Wanna share? Are you interested in getting involved in the BJP this year? Just leave me a message! 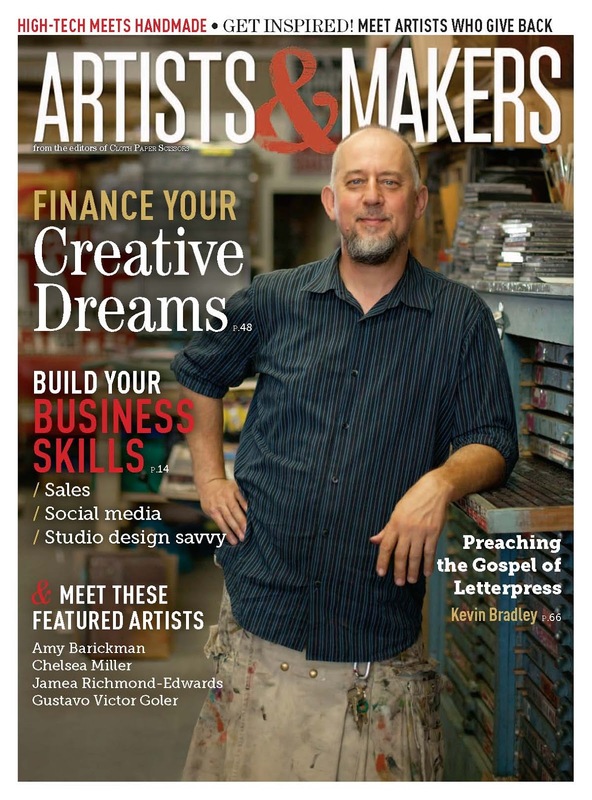 Robbie, Christine, and Eileen...you three are the lucky winners of a copy of Artists & Makers magazine! !